Welcome to Colonial Redi Record! Deluxe Desk Blotters are very classy for the Executive's Desk. 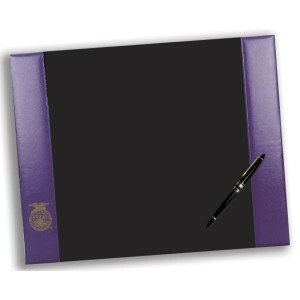 It is constructed of solid black board with leatherette cushioned panel. Available in assorted colors. Your imprint is available on one side or both. Size is 24″ x 19″ , blotter could also be imprinted with your message. Copyright 2015. Colonial Redi Record. All Rights Reserved.